Beautiful One Bedroom, one bath, Fully Furnished, Ocean View condo in popular the Palace Resort. Well maintained and updated with granite kitchen. Enjoy the balcony to watch the sunrise and hear the waves reaching the shore! A great beach get-a-way or investment property. New HVAC, microwave and sofa 2018. Relax and enjoy sunbathing and swimming in the beautiful Atlantic Ocean! The Palace offers great amenities including indoor & ocean front outdoor pools, hot tub/spa, fitness room, sauna, putting green, restaurant/lounge, laundry facility, attached parking garage, the beautiful Atlantic Ocean is at your front door! 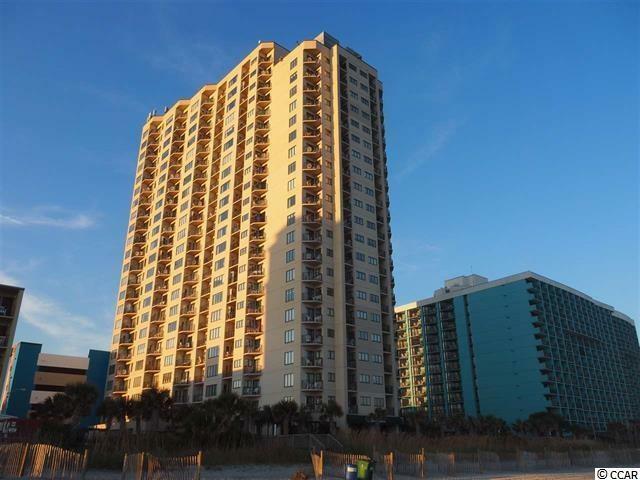 The Grand Strand w/ 60 miles of white sandy beaches and close to all of the shopping, dining, entertainment, golf, area attractions and all the beach has to offer! Close to Market Commons, Airport, & Coastal Grande Mall.